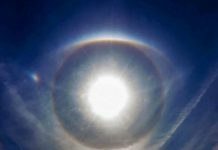 A woman from Feliciano, Argentina, witnessed a mysterious phenomenon in the sky on October 24, 2017. 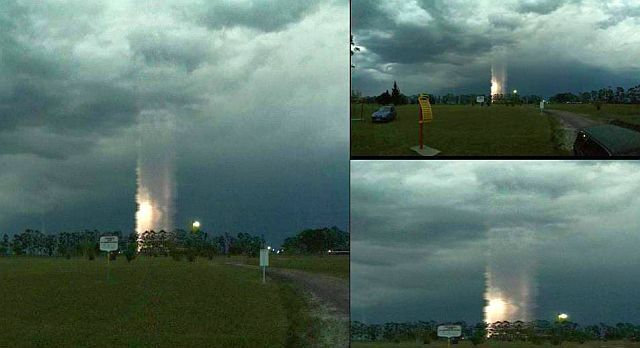 During her daily walk across the San Jose Park, a bright light column suddenly appeared in front of her. Some sort of glowing portal to heaven. When the sky lit up, she first thought it was a lightning. But in the picture the woman found a light column. 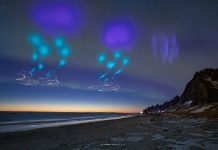 The pictures shown below show the mysterious light that leaves a column in the sky. Some sort of glowing portal to heaven. Baffled meteorologists believe this strange and rare natural phenomenon occurs when a cold front meets a warm front. These two fronts don’t mix because of the difference in temperature and density. When such masses of air collide together, extreme weather events can occur, including lightning and even tornadoes. 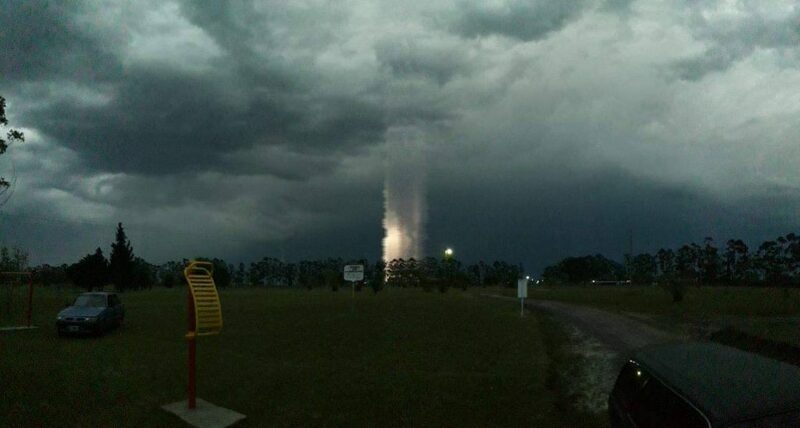 But this mysterious column of light remains a mystery. You can tell this is photoshopped because the tops of the trees on the bottom of the column are the same. Seriously? You can see the repeated lines of copy and paste in the trees and clouds. Its a very, very poor paste job. I looked closer to this and yes, I noticed that… I put my previous post before looking closely at this. Camera glitches when lightnings are filmed. I had the same during recording storm. Nothing more than swamp gas. Not hard to explain. 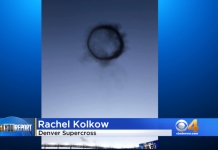 As one of the picture captions reads: “a portal opening ou in the sky” Boomer!